Before I start, I would just like to clarify that I am a fan of Torres, not quite what I used to be like but more importantly I support Chelsea. I want what’s best for the club, not Fernando Torres or any other player at the club. I really want Torres to succeed and be amazing but it just isn’t going to happen. When Chelsea announced that Fernando Torres had been signed, I couldn’t contain my excitement. Torres was a player who I had often wished was playing for us instead of against us. I was so delighted that I went and paid £15 to have his name and number on the back of my shirt. He was already a hero in my eyes and I think that is why it has taken me so long to realise that he will never shine at Chelsea. He will never ‘be back’, he will never singlehandedly ruin teams like Robin van Persie or Falcao would, he will continue to look out of place and feed off the magic of those around him. I struggle to recall a game in a Chelsea shirt where Torres has actually looked like part of the team. In my eyes he sticks out like a sore thumb. Of course this is a Chelsea team ‘in transition’ for those of you who want to give excuses for the terrible cohesion throughout the team but even when it does click, it is through Eden Hazard, who looks every bit worth the £32M he signed for, unlike £50M Fernando Torres. For so long I ignored the poor first touch, the clear lack of pace and the pretty poor movement. He gets it right, occasionally but nowhere near enough for a £50M striker. It is of course only a handful of games into the season and Torres probably will stagger his way to 20 goals this season in all competitions but who wouldn’t with Hazard, Mata and Oscar behind them? To those Chelsea fans who are still convinced he’s the best thing ever to happen to the club, you’ll realise soon. You’ll notice how he often hides behind defenders or how his touch is often about five yards in front of himself but he’s so far away from everyone else he gets away with it. I’m pretty sure he had a moan at the end of last season about not being able to be the main man and the star striker, so why Fernando, now you’ve got your big chance, do I often see you drifting out wide? 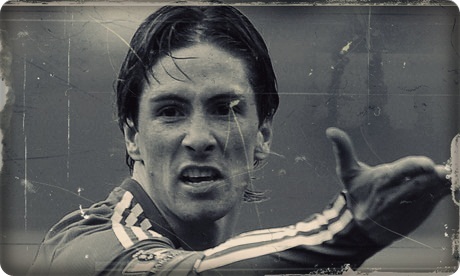 I really want Torres to be a success but he’s just a shadow of his former self. He’s obviously never going to get that blistering pace back. I recall the game versus Wigan where he was one on one with a player and at one point was actually a yard ahead of the defender but he turned back inside allowing the defender to catch up? Fernando Torres of three seasons ago would have left him for dead and went and slotted it in. There must be something not quite there mentally; there are obviously doubts in his own mind as well as he’s nowhere near as confident as he used to be. His goal against Newcastle was impressive but I lost count how many times I found myself ‘MOVE TORRES’ at him during that game. Hazard would be dancing round players down the wing yet Torres would be stationary on the corner of the box. Is it hard to make a near post run? You might be wondering why this article is titled ‘The Fernando Torres Disorder’, well it’s because of how many Chelsea fans are still adamant that he’s going to set the world alight. I want it to happen too but it just isn’t going to happen. What sort of player moans about the club who pay him £175,000 a week, the day after he’s just won the Champions League? Torres can do no wrong according to a section of the Chelsea support and it’s sad to see. I’m pretty sure there are fans out there that would be happy if Torres scored but Chelsea lost. It does make me laugh when Torres does score and all his fan boys/girls say things like ‘that will shut the haters up’…they aren’t haters, they are people who want the best for Chelsea. I used to be part of this deluded gang but they need to wake up. I would swap him for Falcao any day of the week. To his credit, there have been times where he’s look decent but let’s consider the opposition in those games. He scored a hat trick against QPR. A QPR defence including Anton Ferdinand who quite understandably must of wanted to get those 90 minutes over and done with. He scored two against Leicester, a Championship team. He scored two for Spain against Ireland. He scored that goal versus Barcelona where he did show good composure but the game was already dead. That goal away against Manchester United was a very well taken finish but we all know what happened a few minutes later after he rounded De Gea. Torres’ goal versus Reading was the first goal he’s scored for Chelsea that has actually changed the outcome of the game/tie. Only 20 months after the club spent £50M on him…Shambolic. Is Anelka Clutching At Straws? Chelsea’s current strikeforce consists of Drogba, Torres, Malouda, Kalou, Sturridge, Kakuta, Zhirkov and Anelka. You’ll have noticed there are some midfielders in the list because they too must be considered as the strikeforce. Anyway, my point is, it’s evident to see why Fabio Borini didn’t sign a new contract with us at the end of the season; there are plenty of options up front to choose from already. Not to mention the potential arrival of a certain Lukaku from Anderlecht. Now at first glance, you’ll be thinking ” typical Anelka” but it’s clear to see that he has made this comment because he’s firmly aware of the likes of Mr Danny Sturridge, who’s back from his eye opening loan spell at Bolton. Andre Villas-Boas, however, is giving most, if not all, players a chance to prove themselves in the pre-season so there’s no knowing who will/won’t still be at the club after the transfer window has closed. Villas-Boas has promised that he doesn’t wish to “revolutionise” Chelsea but to “evolve” them, which leads us to think there will be sufficient utilisation of some of the youth products; McEachran, Bertrand, perhaps even Chalobah to name a few. This makes it even more difficult to depict what Anelka is truly thinking; is he indeed clutching at straws? Quite a few players are willing to commit their futures to Chelsea until they retire but many fear this is due to their pay check rather than from the goodness of their heart. Jumping on the “Torres for 30 goals next season” bandwagon may make Abramovich happy but it wouldn’t be too much of a shock if Anelka is merely trying to talk his way out of a move away (to the MLS in the United States). This is in no way a ploy to exploit Anelka’s press comments but more an attempt to analyse what sort of message he is trying to get through to the Chelsea hierarchy; most importantly Andre Villas-Boas. What do you think? Will we be seeing the back of Anelka soon? Or does he still have a key role to play within the team?